Made of rust resistant stainless steel. Lodge's collection of accessories - handle holders, brushes, scrapers, and many more. The Cuisinart<sup></sup> Deluxe Stainless Steel Can Opener is designed to handle any standard can without tipping or sliding. Heavy stainless steel construction and a broad base lend a high-tech look and supreme stability to this upscale can opener. Automatic operation requires just one touch to start; a removable arm requires less than a minute to clean. 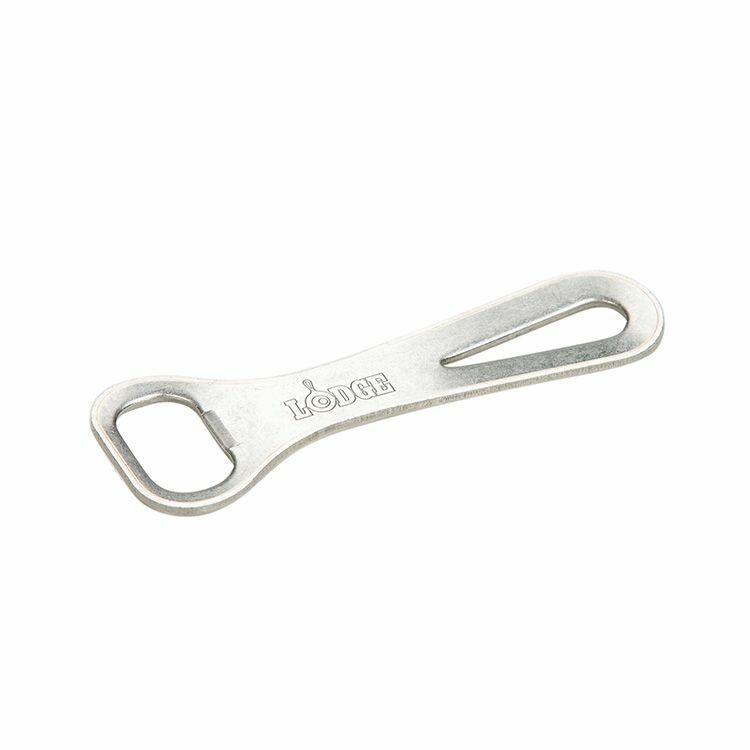 Stainless Steel Bottle Opener Made of rust resistant stainless steel. Lodge's collection of accessories - handle holders, brushes, scrapers, and many more.